Our new product development includes rigorous reviews of the circuit design and extensive listening sessions. Real performance gains are difficult to achieve and require careful component and circuit design consideration. We don’t launch products simply to have something “new” to sell. Our product lifecycles are long compared to standard industry practice, and new products are based on legitimate performance improvements. Maybe that is why we have achieved such an abundance of international critical acclaim from enthusiastic audio fans and professional reviewers alike. 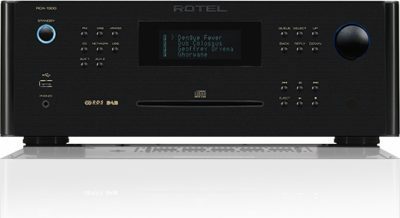 Rotel components deliver more than simple entertainment. They provide an experience that resonates with people who want something more. Music and movies are visceral when played through the right system. You should expect nothing less than what the artist or director intended. Hear what over 50 years of electronic manufacturing experience can do for your audio/video enjoyment. Other Rotel products available. Please ask.